appears high on the list of results returned by a search engine. Think again. Many companies are paying thousands of dollars and more for ranking on certain keywords and phrases. 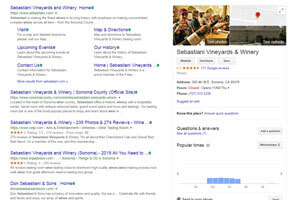 Many others are using Google Ad-words to appear on the top of search result pages as well. How can you compete with them? To be honest, depending on your business and the competition for words in searches, it can be tough. Our SEO consultants can give you the tools to make the decisions on how far you want to go based on your competitors. 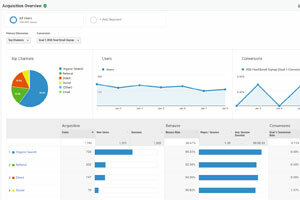 We can set up your Google Analytics account and get an idea of how people are currently finding your site, things that are keeping them from finding your site, and things we can do to improve to help your site get visibility. This is often the most overlooked and poorly maintained part of an SEO exercise, and for people in your area on a mobile device looking for the goods and services you offer, to not be showing your information properly, or at all, can result in your competitors reaping your rewards. Organic or paid reach? What does that mean? If you do nothing to your website to help search engines find you, they likely will eventually in spite of it all. 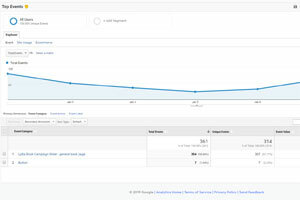 But you can do things now that can help your visibility in the SERP's. This is the latest tool from Google and includes something called Search Console. It does not replace analytics, but works hand in hand with them to help track conversions, and give you real numbers for traffic driven to your site, be it from Social Media, E Mail Marketing blasts or other sites.